Life seems to get more and more hectic every day, with work calendars, social agendas, the children’s activities and, oh right, your health to think about. In an effort to gently remind people about upcoming outpatient imaging appointments, Hartford HealthCare will begin offering text message reminders. Through a partnership with General Electric and a focus on Hartford HealthCare’s imaging services, system leaders became aware of this opportunity to improve business operations. “The goal is to reduce the frequency of missed appointments we experience in radiology, but it’s really all about improving the patient experience,” explained Dr. Stuart Markowitz, senior vice president and physician-in-chief of strategic imaging for Hartford HealthCare. Mary Jane Lawton, a program manager for operational excellence, said as they looked for opportunities to improve radiology programs across Hartford HealthCare, members of an improvement team saw a real opportunity to help patients keep their scheduled appointments and, thereby, improve and expedite any healthcare they might need. Tapping an existing contract with the vendor Televox, the improvement team learned that the system has the ability to send patients text, email and telephone call reminders about upcoming appointments. Only telephone calls were being used at that point, and, even then, there was often confusion if patients received multiple calls, robotic and human, from different staff or offices about their upcoming visit. Patients needing to prep for their visit would first get an automated phone call reminder of their appointment and then a call from a staff member to discuss the preparation. Often, Lawton said patients would answer the first call and ignore the second, thinking it was an additional reminder. They would then show up for their appointment not having completed the necessary preparations and the test would have to be rescheduled. “It became clear we had the opportunity to communicate more clearly and in a more organized fashion with our patients,” Markowitz said. Members of the improvement team also visited the Cleveland Clinic where one of the best practices was around appointment reminders. Back in Connecticut, they partnered with staff from IT and the Hartford HealthCare Medical Group to refine and advance the appointment reminder system here as well. Any patients who must follow specific preparations before a test will first receive a text message reminder. 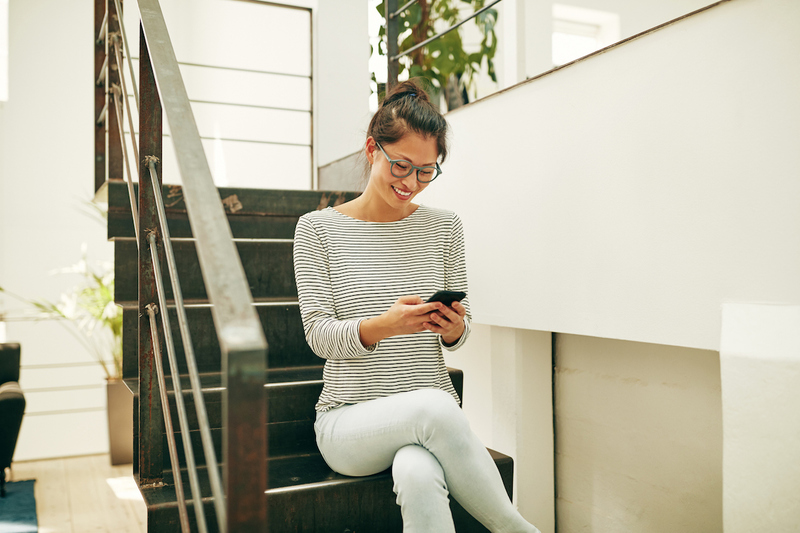 The text will let them know there will also be a follow-up phone call from a staff member who will explain any additional steps they may need to take before their appointment. “With that advanced notice, it’s more likely that they’ll answer the phone call,” Lawton said. Lawton said the text messaging will start in the Central Region with mammography patients and expand to other imaging modalities and regions within weeks. If the transition goes smoothly, Markowitz said the goal is to give patients more options for reminders. Televox can customize each patient’s preferences – phone calls, texts, emails or a combination of the three. “Ultimately, we hope to be able to expand this system across all of our different types of facilities in all our locations across Hartford HealthCare,” he said.